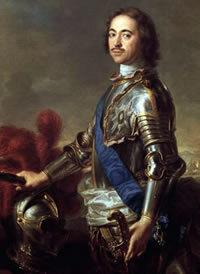 Since accession to throne Peter I promoted far-reaching reforms to modernize Russia's to a western style. The necessity of foreign experts rose suddenly. He recruited foreign workers who promised religious freedom: officers for training his army, builders and craftsmen for construction of St. Petersburg and shipbuilders for his fleet. Since that time there were many German princes subjects in Russia and most of them only for a limited period of time. 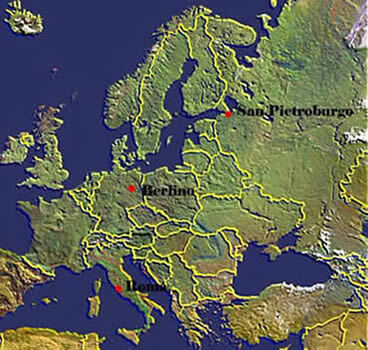 In 1703 he built the new capital of St. Petersburg on the newly conquered territory to Sweden in the Great Northern War getting so the access to the Baltic Sea. Since then most of the German experts, who belonged to the elite, lived in St. Petersburg. Later his interest turned towards the north coast of the Black Sea but did not achieve any concrete result. The German influence increased with the successors of Peter I.: ministers and advisers came from Germany and the Czarist family Romanov adapted to the other European royal houses.